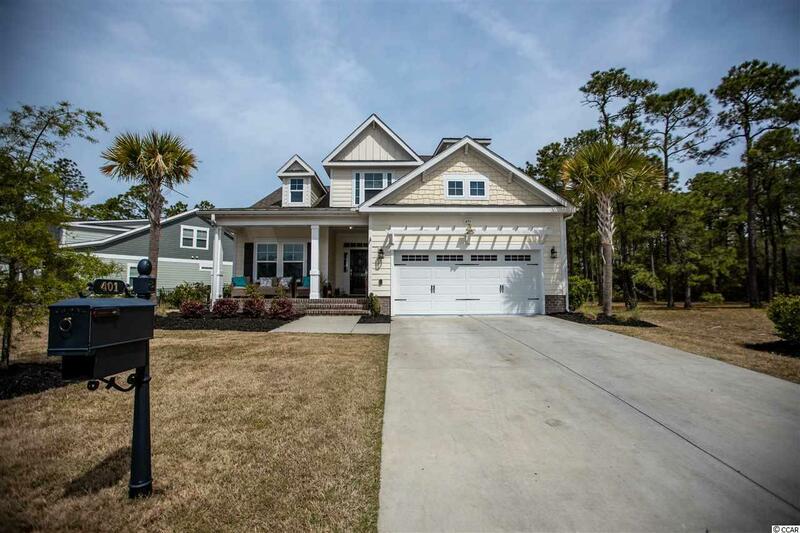 This Beautiful Custom Built home is located in one of the most prestigious neighborhoods in Carolina Forest. 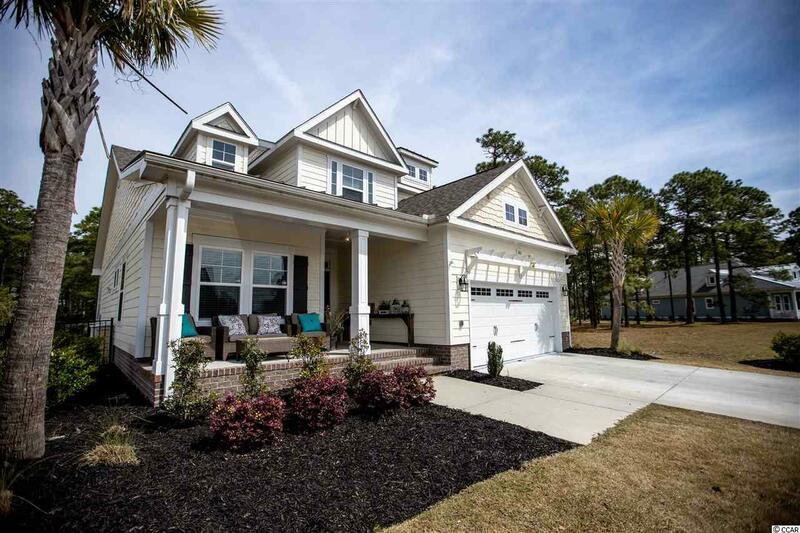 This home features 4 bedrooms, 2.5 baths, a formal dining room with coffered ceiling and wainscoting detail, a great room which opens up to a Carolina room with fireplace. The Kitchen and breakfast area include a walk-in pantry, breakfast bar, granite counter tops, double ovens, stainless steel appliances and two large islands. One with a dishwasher and kitchen sink as well as another island adjacent with extra storage and bar stool seating for up to 10 people. First floor Master suite has a tray ceiling, master bath with his and hers sinks, walk-in shower and a private water closet. The Utility room/mud room are a great size with a built in coat station and garage access. The Second floor includes 3 additional bedrooms with walk-in closets in all bedrooms, they share a hall with access to a full bathroom with double sinks and a Media room/flex space at top of stairs. This home has a single owner and is in excellent shape. 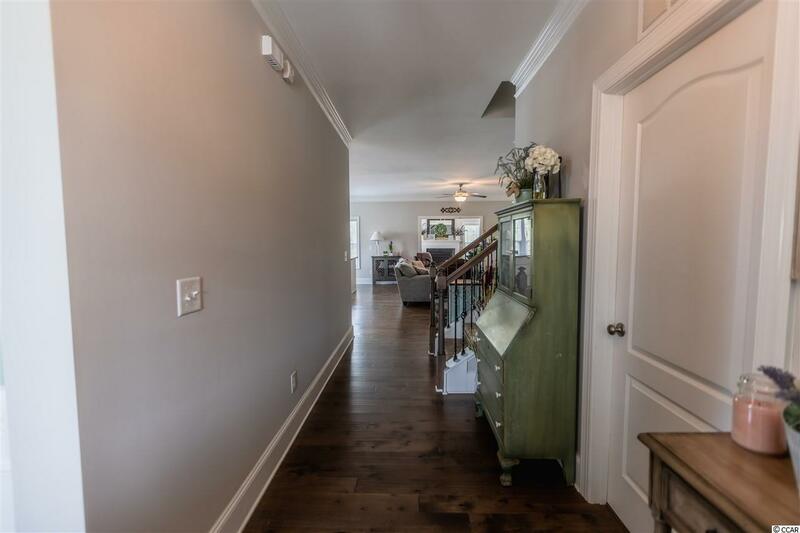 As you walk in the home you are met with a beautiful entrance, formal dining room and a large open space that is great for entertaining. Along the back of the home there is a screened in porch that overlooks a large, fenced in back yard that sits against the woods allowing for privacy and a great space for entertaining as well. 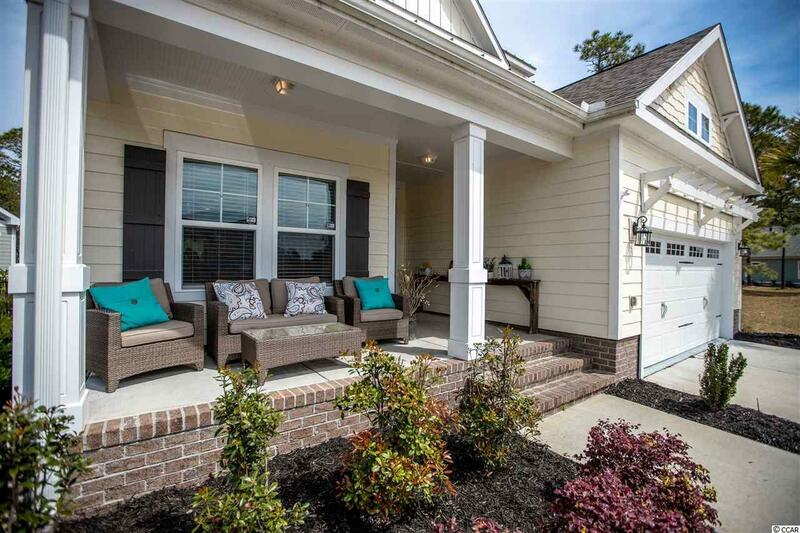 Waterbridge is a gated neighborhood that also includes one of the best amenity centers in the Grand Strand which has the largest pool of any neighborhood, a workout facility, tennis courts, basketball courts and private boat/RV storage. This is a beautiful home and neighborhood that is a must see.